My wife and the kids were spending a Saturday at the birthday party of one of my children's classmates. So for the first time in awhile I was able to enjoy spending some time watching college football without any conflicting responsibilities or distractions. I grabbed myself some Popcornopolis gourmet popcorn to snack on and a cold brew to drink before flipping on the television to take in some games. That is what I call a relaxing afternoon! Football is synonymous with Fall for me. I think of this time of the year as the football season. 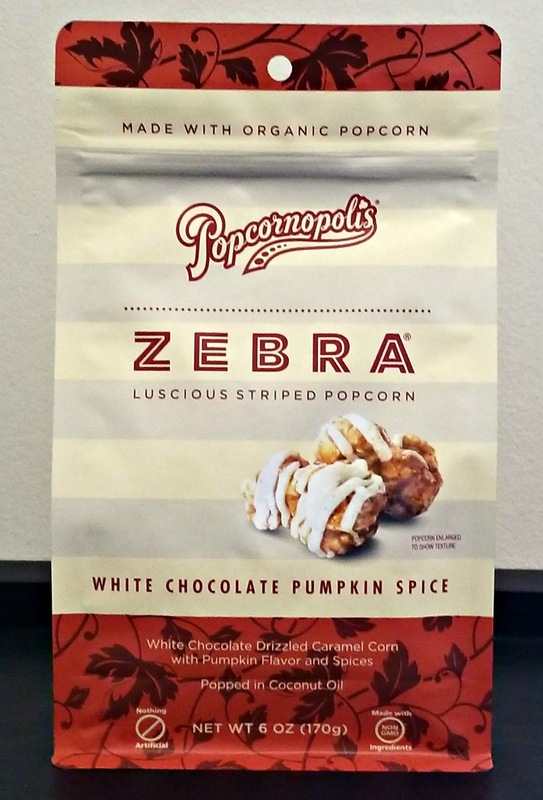 So I was excited to hear that Popcornopolis was releasing a product line called ZEBRA featuring Autumn themes. It is called ZEBRA because the organic popcorn is striped with delicious toppings. Flavors include Chocolate Candy Cane, White Chocolate Pumpkin Spice, and Chocolate Stripe. Oh are they tasty! 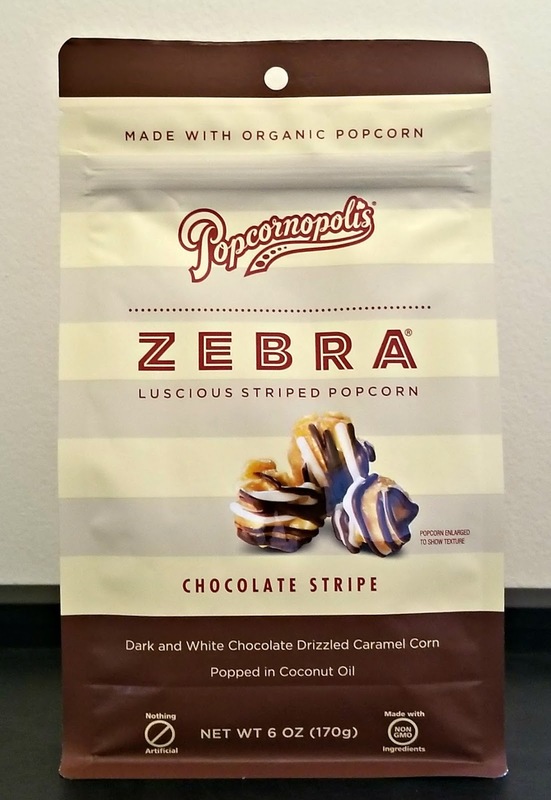 Popcornopolis gourmet ZEBRA popcorn is the perfect treat to snack on while watching your favorite college or pro football teams play. 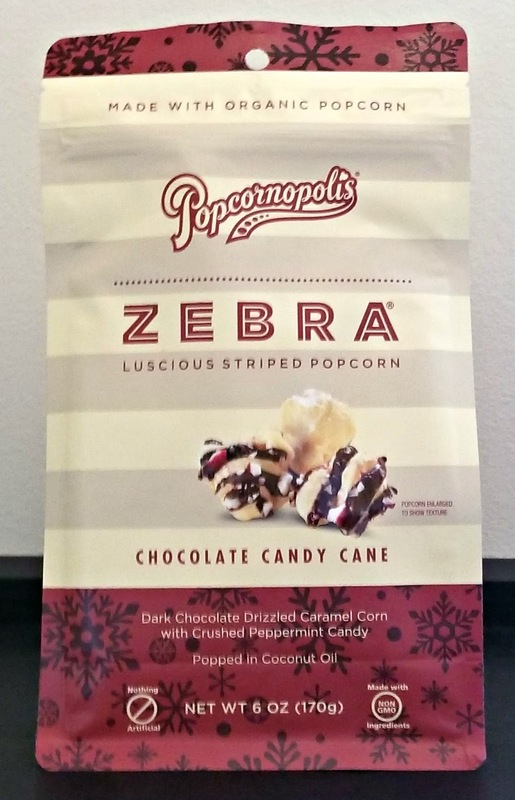 To share my enjoyment of Popcornoplis' products, A Geek Daddy has a prize pack with a variety of ZEBRA luscious striped popcorn to giveaway. For a chance to win follow @Geekdad248 on Twitter and retweet the message below before 11:59 pm ET on Sunday, November 12, 2017. Must be a United States resident over the age of 18 years old to be eligible to win. No P.O. Boxes allowed for mailing addresses. 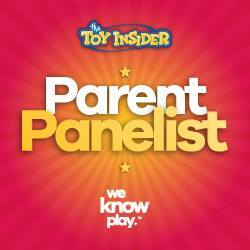 Popcornopolis will be responsible for delivery of the prize to the randomly selected winner picked by A Geek Daddy. I'm telling you Popcornopolis ZEBRA luscious striped popcorn really sets itself apart from other snacks. ZEBRA flavors are made with organic popcorn, popped in coconut oil, and have no artificial ingredients. Plus these snacks are all made with NON GMO ingredients as well! This artisanal treat is hand-crafted in small batches by a family-owned company. 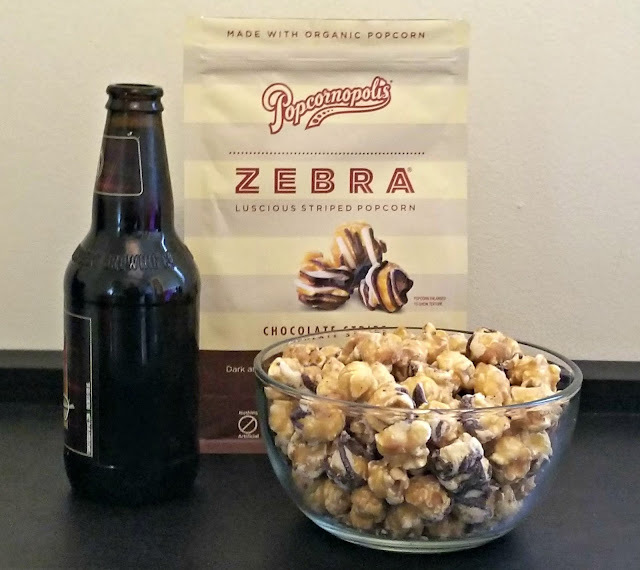 Popcornopolis ZEBRA products are also gluten free but unfortunately they are processed in a facility with peanuts and tree nuts as a heads up to anyone who has those food allergies who may be reading this. 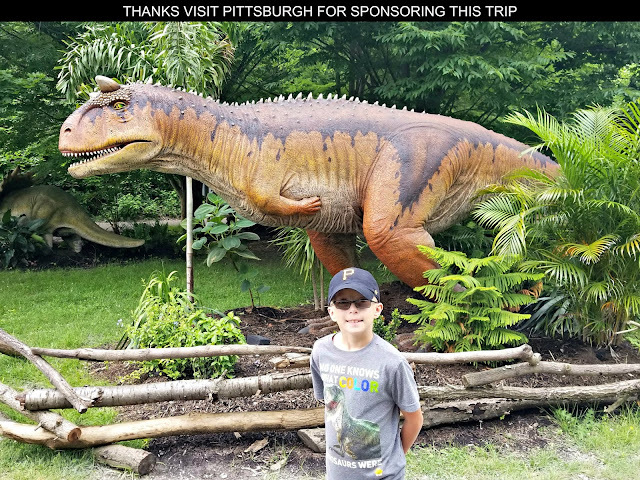 You can find Popcornopolis ZEBRA products at Publix and Walmart locations across the United States or by visiting www.popcornopolis.com. Dark and white chocolate tempts you with sophisticated sweetness. This is beyond caramel corn. This is snacking with benefits. The secret? Organic popcorn. Caramel. Premium chocolate. The combination stirs up scandalous sensations, but deep down ZEBRA Chocolate Stripe is as wholesome as it is indulgent. The rich sweetness of white chocolate brings a whole new dimension to pumpkin spice. Enticing ingredients stir the senses: Organic popcorn, Caramel. Premium white chocolate. Vibrant spices. Deliciousness is always in season, especially when it comes to ZEBRA White Chocolate Pumpkin Spice. A holiday gathering of flavors -- cool, rich and sweet -- stirs up warm memories and visions of fireside bliss. It's a new twist on old favorites: Organic popcorn. Caramel. Premium chocolate. Peppermint. ZEBRA Chocolate Candy Cane may be decadent but it also wholesome. I have to say that popcorn is one of my favorite snacks and these ZEBRA flavors from Popcornopolis are by far the best I've ever tasted. They've absolutely earned A Geek Daddy nod of approval for being awesome! Visit www.popcornopolis.com or check out their social media accounts on Facebook, Instagram and Twitter. That looks so awesome! This is what my son and I like to call "gaming food". I have to get some Zebra! That white chocolate pumpkin spice sounds amazing! This isn't popcorn, it's a taste explosion! I must have these in my life! Oh my goodness how amazing do these popcorn selections look! I think I would have to try chocolate candy cane just perfect time of year! We love popcorn and I can tell that this is perfect for me! I can't wait to try it, looks so yummy! This Zebra popcorn looks so delicious! I have a bit of a popcorn weakness and now I need to try this stat! I retweeted so hopefully I win some yummy treats! This sounds so good! I actually have some of this, but I haven't opened it up yet. I'm sure it's going to taste so amazing! That popcorn looks delicious! We are huge popcorn AND football fans in this house. I love chocolate covered popcorn. I usually make my own but it is a messy process. I should give this brand a try. Ive been wanting chocolate covered popcorn too. Now this is something my kids would really enjoy. We love having a family day for football games and yummy snacks like this are always needed. This is a snack for mama! Can't live without my popcorn. Never had this brand before, excited to try it! Oh my! I'm a HUGE fan of popcorn. I love trying different flavors! Wonder if I can find the ZEBRA brand in my local grocery stores. So for my day job, I'm an editor at a snack food magazine, and they sent us some of these ... SO addicting and delicious. Will definitely be entering your contest! Dang! Love all those flavors. And I love the fact that they're organic and have no artificial flavors. Sounds like the best popcorn ever! Hmm... I love popcorn, but am usually resistant to new flavors/foods. I suppose I'll have to give it a try! Oh man...these sound delicious! I bet my husband and I would blow through a bag in one sitting. Well that sure sounds like the best treat! those flavours look amazing! I have to try them! 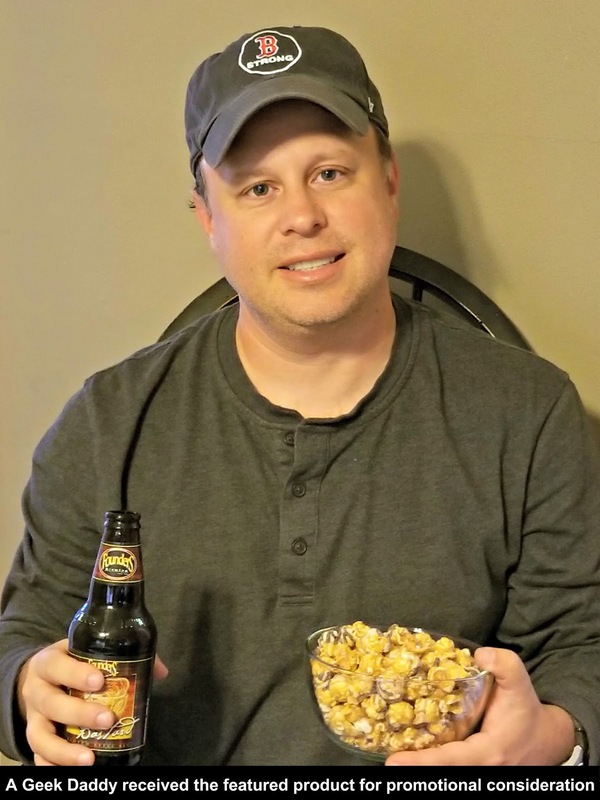 Hey I love popcorn and this popcorn with all the amazing flavors look so delish! Will definitely have to try. Will definitely try this brand soon. The brand/product name is so interesting. :) Love popcorn!